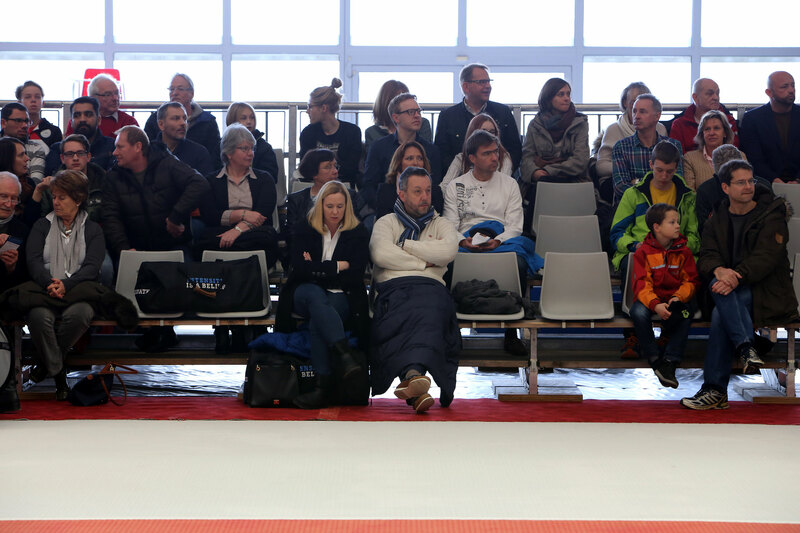 A quick left punch, 15cm taller and a tremendous will to win gave him the key advantage. 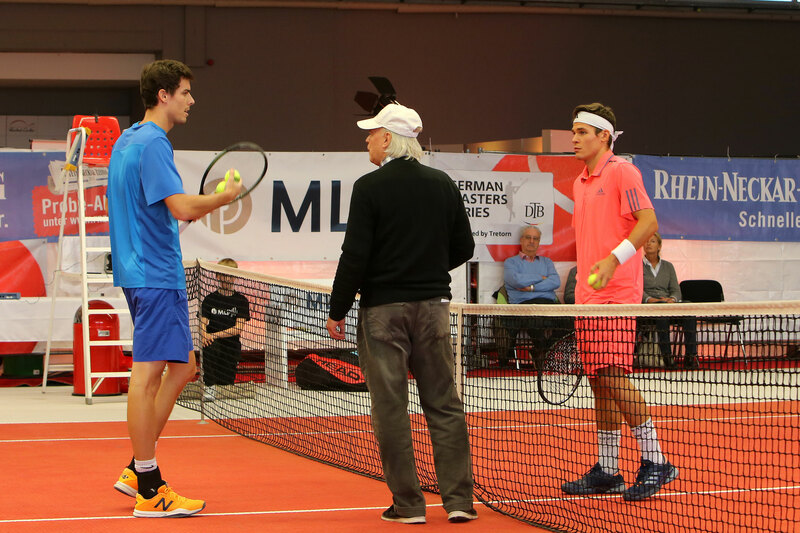 For long periods of the match, it was an even battle. 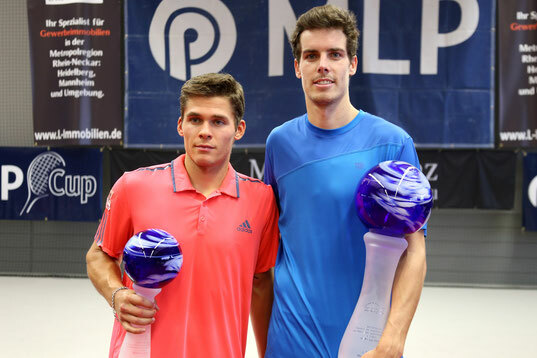 A dominant service game, just as absolute ball control distinguished both finalists. 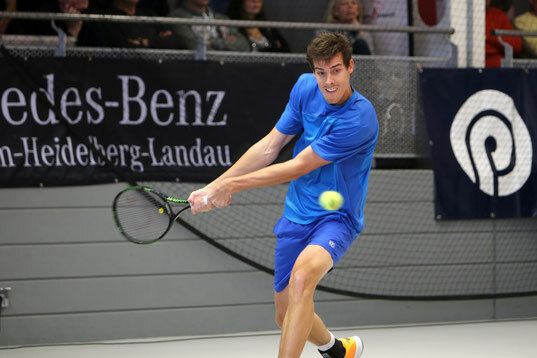 Although Daniel Masur consistently relied on changes of speed to force his lanky opponent into a corner, Moraing got rid of delicate situations by point-blank strokes, tightly over the net. 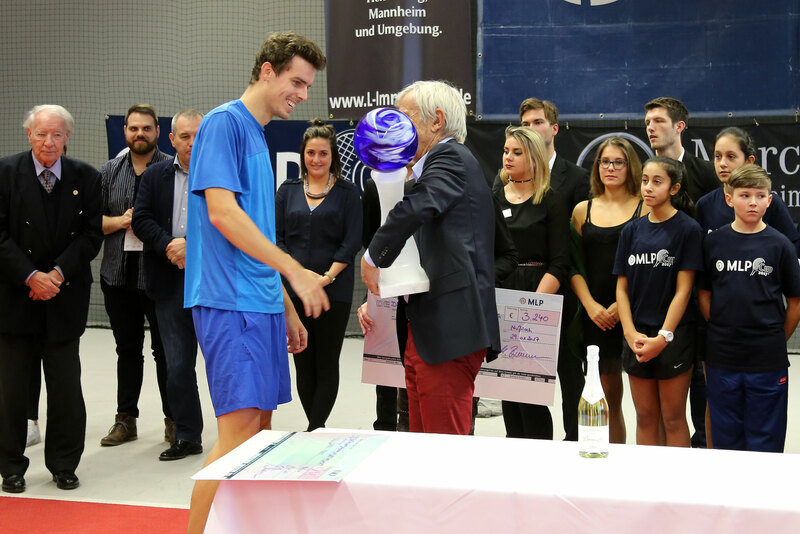 Those "surprise attacks" paired with his powerful second serves eventually led to the impressive advantages in the tiebreaks, the pleasant left-hander won by 7:5 and 7:5 each. 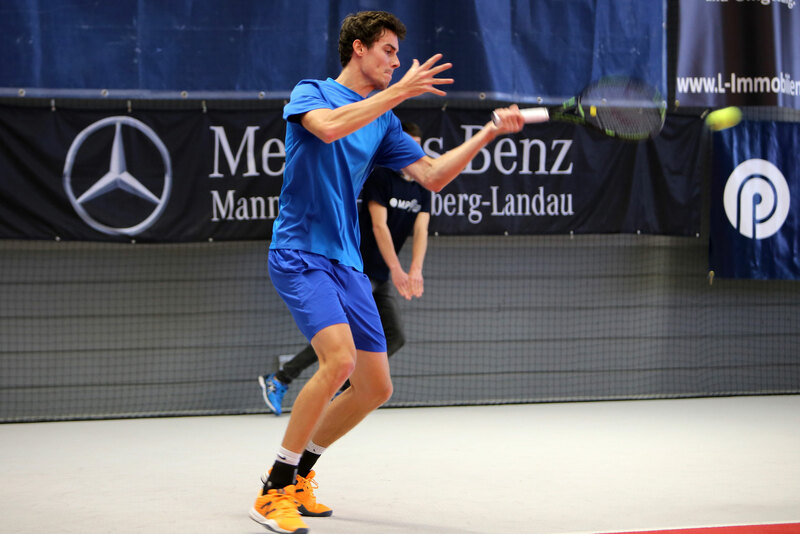 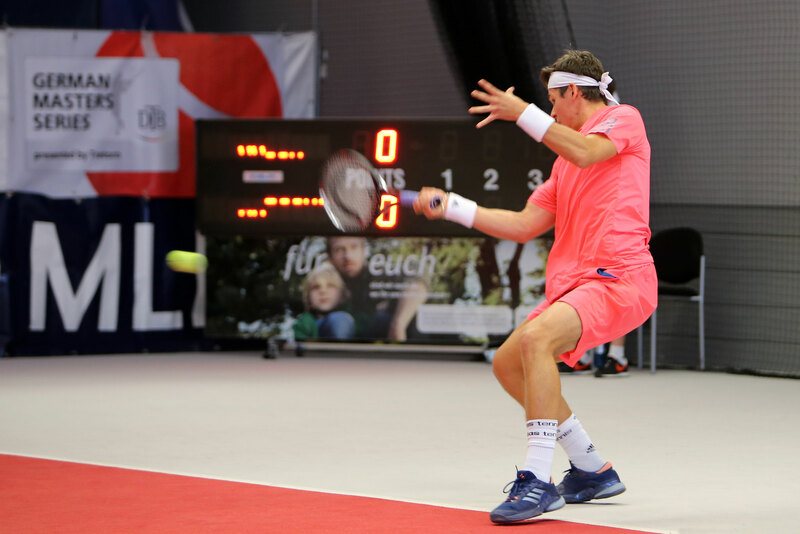 Even if the spectators desired a third set they had to admit that Daniel Masur missed an appropriate opportunity against the Bundesliga-player from Rochusclub Düsseldorf. 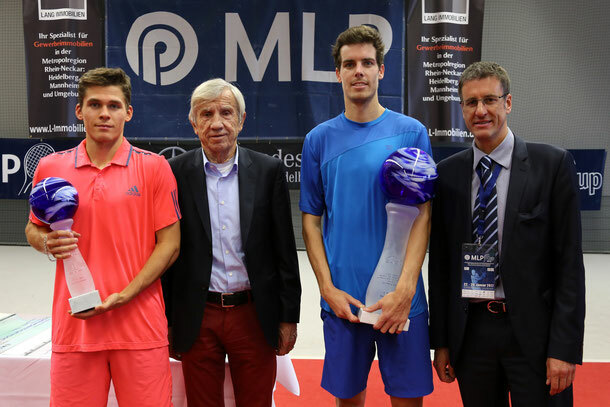 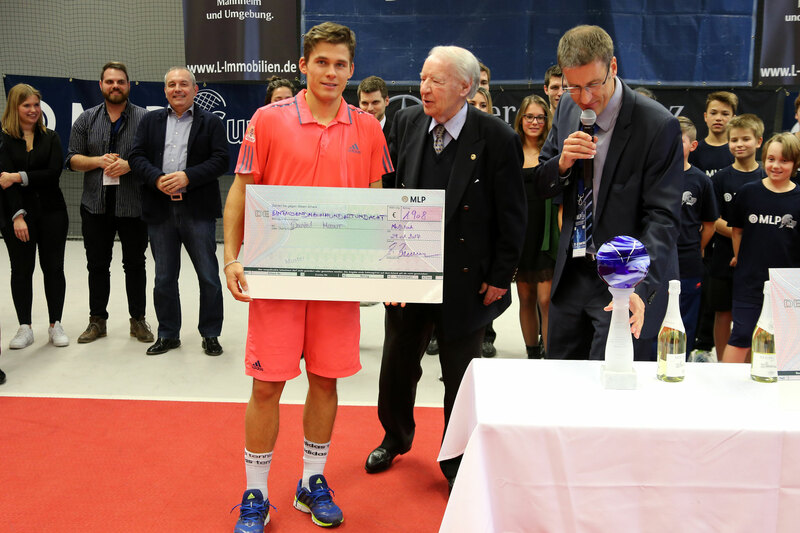 Richly deserved and predominant Mats Moraing gained the coveted 27 ATP ranking points, 3240€ prize money and a valuable leaded crystal trophy. 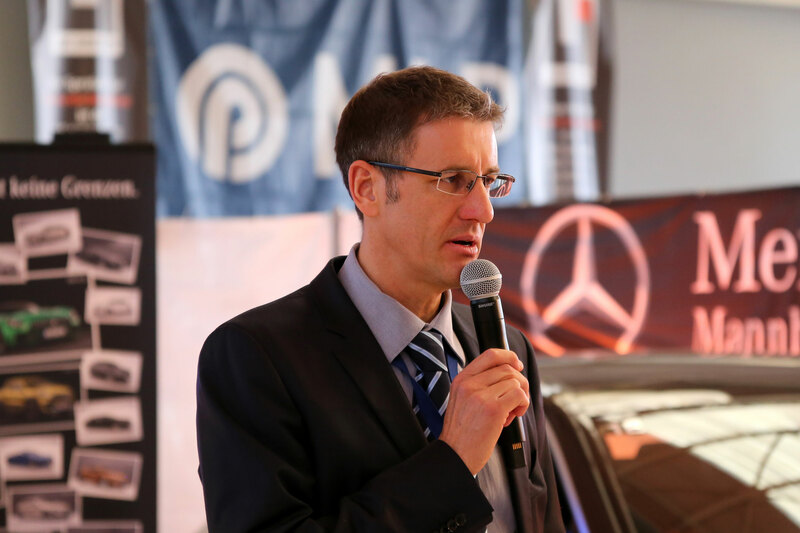 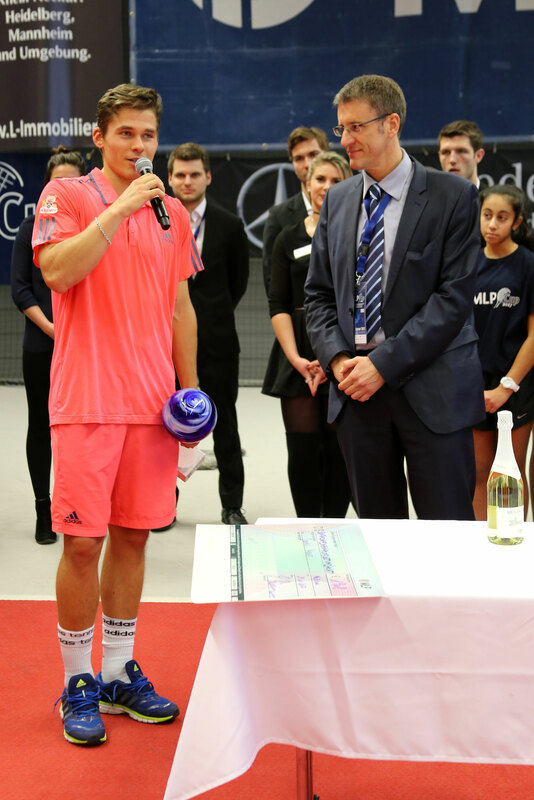 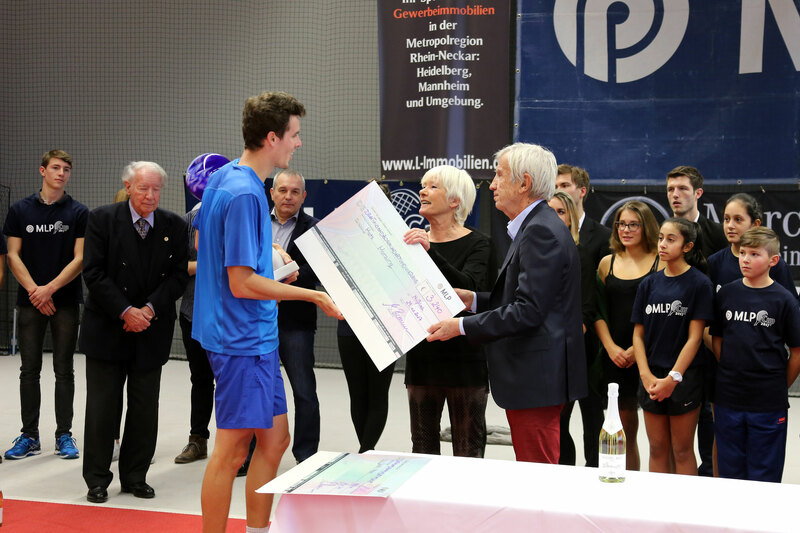 The spectators gladly showed respect for the "International tennis champion of the metropolitan area Rhine-Neckar" and finalist attending a worthy award ceremony until the end. 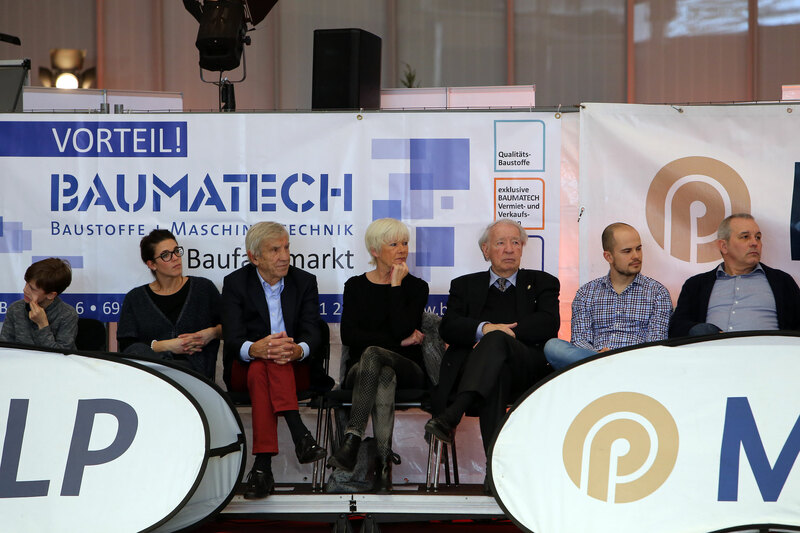 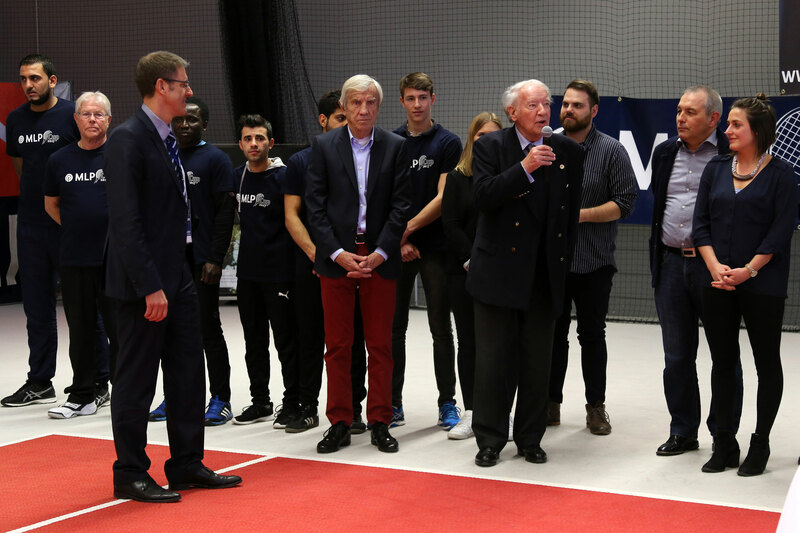 On this accasion, tournament director Dr. Matthias Zimmermann gave Mr. and Mrs. Lautenschläger, Mayor Rühl as well as honorary guest Dr. Jobst Wellensiek the possibility to express thanks to all sponsors, the highly committed organisation team and the audience. 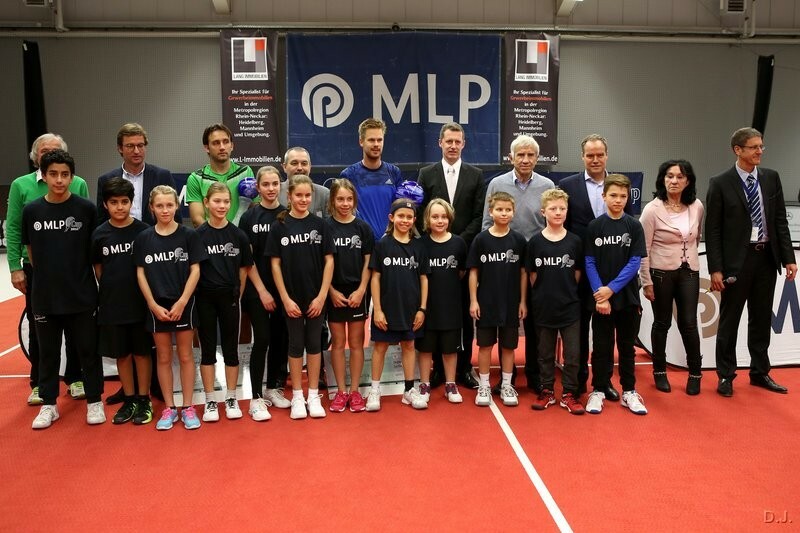 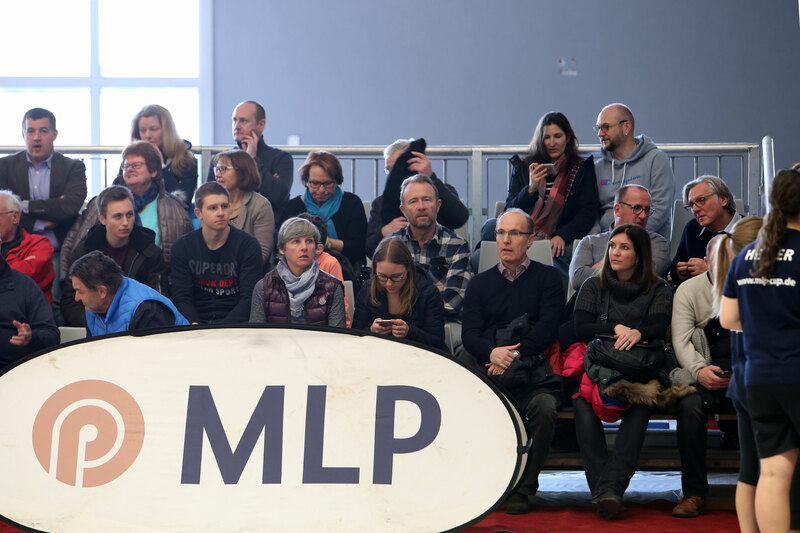 Fantastic tennis play in front of impressive settings and in the presence of local sports fans, sponsors, honorary guests and the media's commitment (thanks to Rhein-Neckar Newspapers, Rhein-Neckar Television and Mannheimer Morgen for coverage) are important motivators to make assiduous efforts in the forthcoming year to mount MLP-Cup 2018.